Plan Strategically: The goals you set for your small business will be unique to your particular operation. Goals can include income or customer growth, market expansion, implementation of a new promotional strategy or development of a new product or service. All goals should be reasonable, achievable and measurable, as well as relevant to your business. Once you have goals established, assign them to an owner and prioritize them. The assigned priority could be driven by budget or business-building need. Stick to Deadlines: Establish reasonable deadlines, and resist the urge to change them unless extreme circumstances warrant. Missing deadlines can result in additional project costs and slowed productivity. Encourage your team to meet their deadlines. When to Deviate: Changes in your team, in your budget or in economic or market conditions may change the validity of your goals. While having specific goals and deadlines in place is representative of smart business operations don’t be so rigid in your planning that you lose the ability to be flexible when necessary. 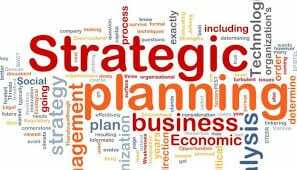 Periodically re-evaluate your operating strategy and goals to ensure they are still appropriate to your long-term business plans.